Leighton Meester looked fierce in this Luisa Via Roma "Bally Studded" handbag, what's not so fierce is the $2,430 price tag. 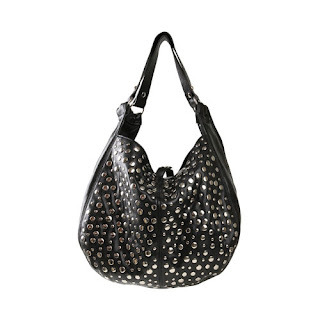 But don't fret my pet, here is a similar studded handbag by Steve Madden for less....much less! I love studded handbags (& shoes)!